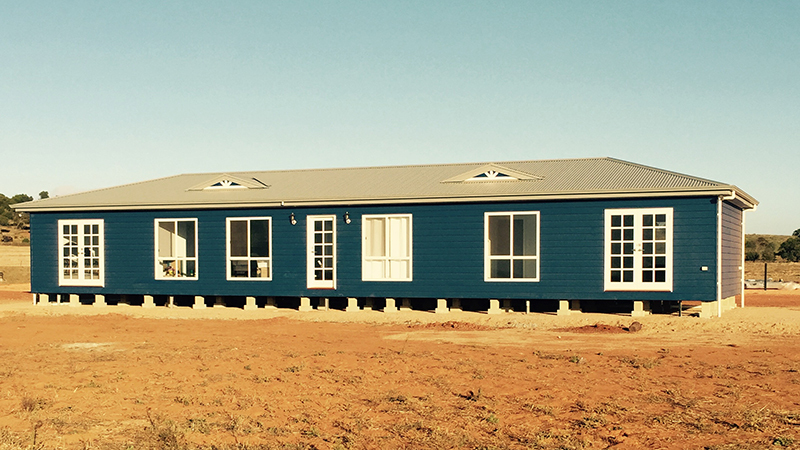 We recently built an amazing new home for Eyre Peninsula residents Rick and Sue. With a distinct vision in mind, they customised their new home to be truly reflective of their individual taste. The first tell-tale sign that this is no ordinary home is the striking blue and white facade, which is perfectly suited to the coastal backdrop of their town of Lipson. The layout is inspired by our popular Rosemont home design, with modifications made to suit their indvidual lifestyle requirements. We spoke to Rick about the building process. "We are so happy with our new home! A big thank you to all the staff, from sales through to the selection process to construction then delivery. Everyone was so helpful & nothing was too much trouble to work things out." 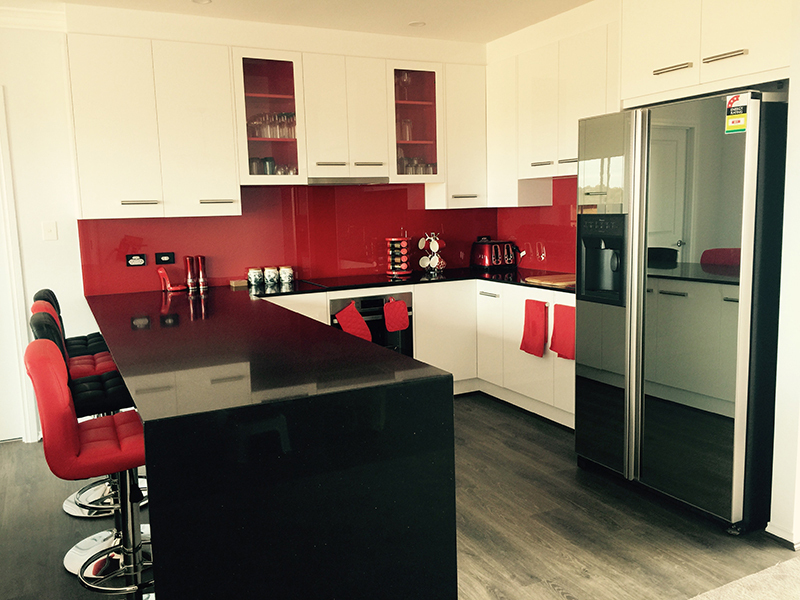 With a striking red kitchen at its heart, this impressive home is nothing short of spectacular. We particularly love the bold choice of black sanitary-ware, which adds a distinctive style to the bathrooms. 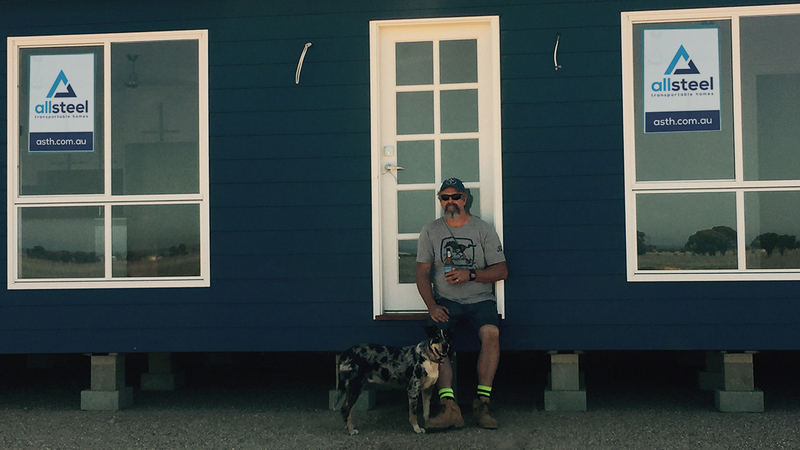 We asked Rick about the final outcome of their new home. 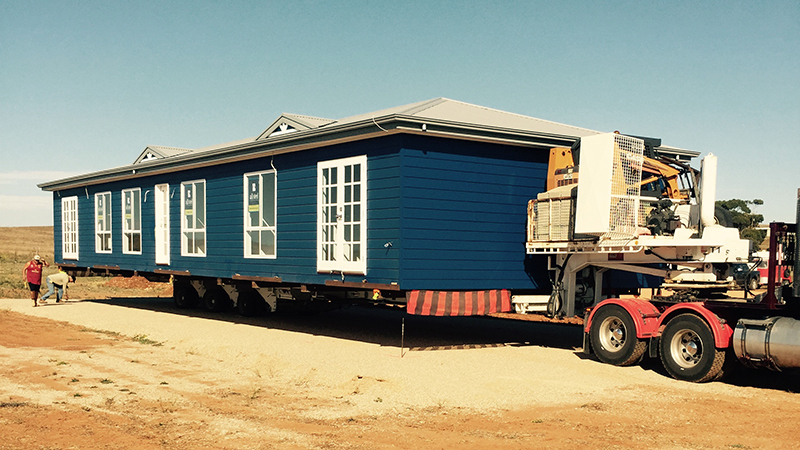 "The finish is excellent - we looked at all the builders of transportables & no one came close to the finished product like Allsteel's first class product." So would they recommend Allsteel? "We have quite a few friends looking at building & they've been very impressed with our home. We've told them don't even bother looking anywhere else but Allsteel!" It was an absolute pleasure to work with Rick and Sue, and we were thrilled to be given the opportunity to create such a unique and beautiful home. Rick and Sue, we wish you many years of happiness in your new home!